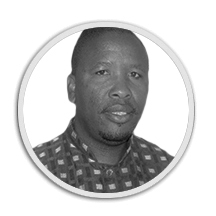 Victor Shale is the Principal Consultant at Shalestone Elections & Governance Consultants Pty Ltd and former Electoral Institute for Sustainable Democracy in Africa (EISA) Country Director in Zimbabwe with over 15 years of international experience in democratic governance and elections. He holds a Doctorate in Politics from University of South Africa (UNISA) and an MPhil in Conflict Management from University of Port Elizabeth (UPE). He has reviewed articles for accredited journals such as the Journal of African Elections (JAE), Journal of Peacebuilding and Development, the Review of African Political Economy (ROAPE) and Journal of Sociology Studies. He is the co-editor of the books “When elephants Fight: Preventing and Resolving Election-related Conflicts in Africa” foreworded by Former President Festus Mogae of Botswana and “The Impact of Floor Crossing on Party Systems and Representative Democracy”. Shale has also been a member of the African Union Reference Group on Democracy, Human Rights and Governance as well as the EISA Expert Panel on Election Integrity. He has researched, published and provided training on electoral processes, including election campaigning, conflict management, civic and voter education, poll watching, election observation including results management and transmission processes to over 1000 election observers across the continent and SADC Parliamentarians ahead of parliamentary and presidential elections. He has also developed training materials and conducted capacity building training for political parties on intra-party democracy, inter-party relations, party coalitions, gender, public outreach and policy development. He has also undertaken senior expert level international assignments in electoral assistance and observation including providing technical assistance to the Southern African Development Community (SADC), the Commonwealth, African Union (AU), Election Management Bodies (EMBs) and many INGOs and CSOs.